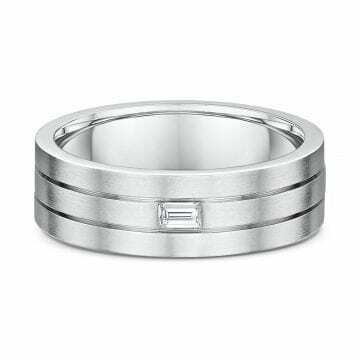 The 14kt men's wedding band features (3) princess cut diamonds that have a carat weight of 0.48ctw. The band can be customized to your choice of metal, millimeter width and diamond cut & quantity. Please call for information & pricing on custom options. The 14kt men’s wedding band features (1) baguette cut diamonds that has a carat weight of 0.20ctw. The band can be customized to your choice of metal, millimeter width & diamond cut. Please call for information & pricing on custom options. 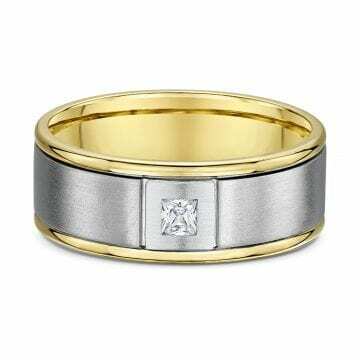 The 14kt men’s wedding band features (1) princess cut diamond that have a carat weight of 0.16ctw. 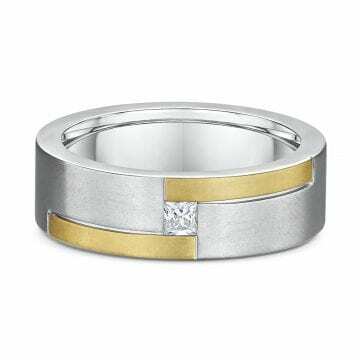 The band can be customized to your choice of metal, millimeter width and diamond cut. Please call for information & pricing on custom options. 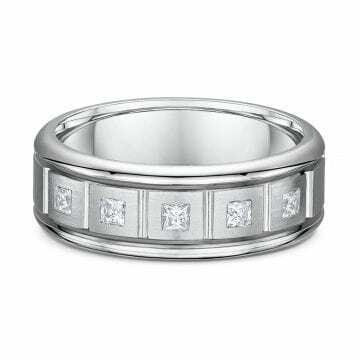 The 14kt men’s wedding band features (1) princess cut diamonds that has a carat weight of 0.16ctw. 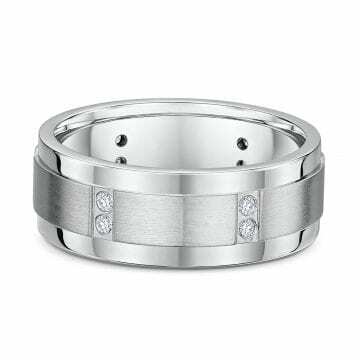 The band can be customized to your choice of metal, millimeter width & diamond cut. Please call for information & pricing on custom options. 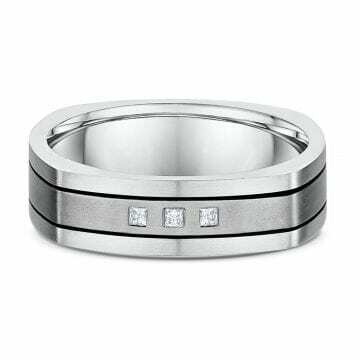 The 14kt men’s wedding band features (5) princess cut diamonds that have a carat weight of 0.35ctw. The band can be customized to your choice of metal and diamond cut & quantity. Please call for information & pricing on custom options. The 14kt men’s wedding band features (22) round brilliant cut diamonds that have a carat weight of 0.24ctw. The band can be customized to your choice of metal, millimeter width and diamond cut & quantity. Please call for information & pricing on custom options. The 14kt men’s wedding band features (12) round brilliant cut diamonds that have a carat weight of 0.14ctw. The band can be customized to your choice of metal, millimeter width and diamond cut & quantity. Please call for information & pricing on custom options. 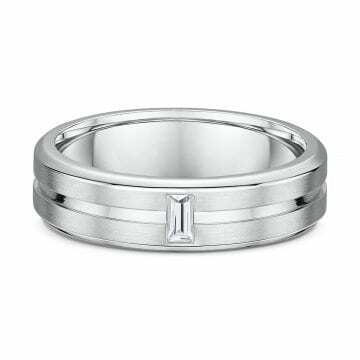 The 14kt men’s wedding band features (1) princess cut diamond that has a carat weight of 0.03ctw. The band can be customized to your choice of metal, millimeter width and diamond cut & quantity. Please call for information & pricing on custom options. 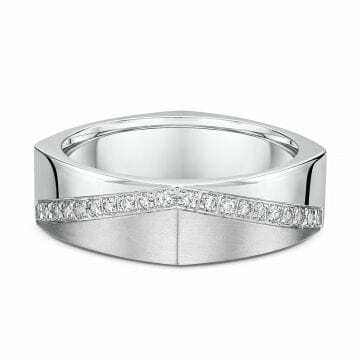 The 14kt men’s wedding band features (1) baguette cut diamond that has a carat weight of 0.15ct. The band can be customized to your choice of metal, millimeter width and diamond cut & quantity. Please call for information & pricing on custom options. 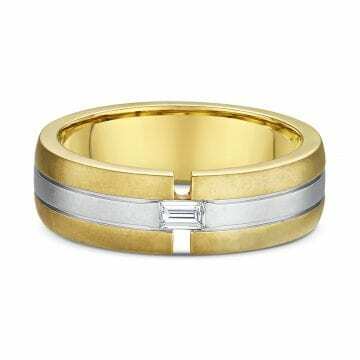 The 14kt men’s wedding band features (1) baguette cut diamond that have a carat weight of 0.15ctw. 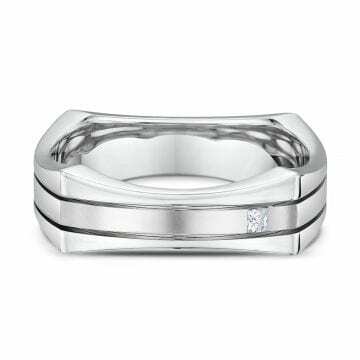 The band can be customized to your choice of metal, millimeter width and diamond cut. Please call for information & pricing on custom options. 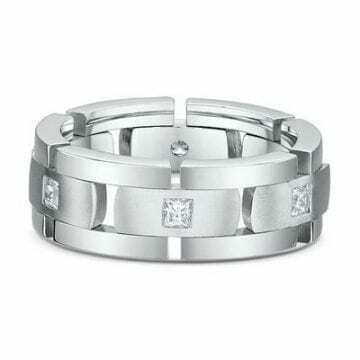 The 14kt men’s wedding band features (6) princess cut diamonds that have a carat weight of 0.60ctw. The band can be customized to your choice of metal, millimeter width and diamond cut & quantity. Please call for information & pricing on custom options. 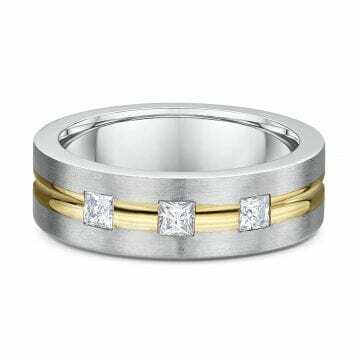 The 14kt gold & titanium men’s wedding band features (3) princess cut diamonds that have a carat weight of 0.04ctw. The band can be customized to your choice of metal, millimeter width and diamond cut & quantity. Please call for information & pricing on custom options.